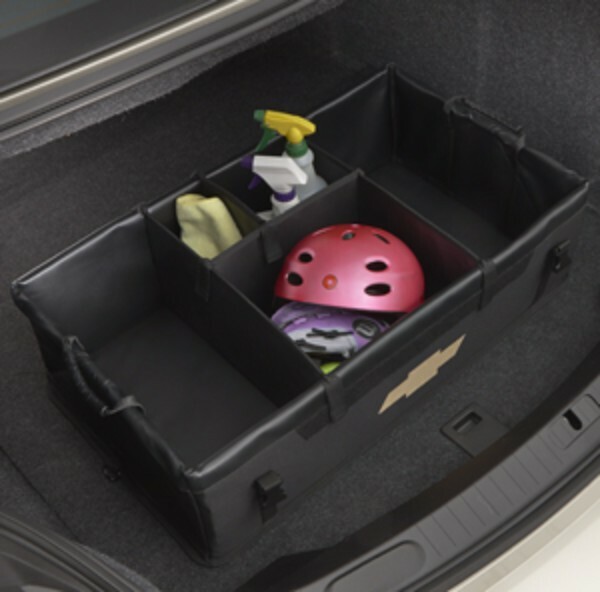 This durable, flexible, collapsible Cargo Organizer has multiple compartments, allowing you to carry lightweight items of various sizes in the rear of your vehicle. It can be folded flat, or removed from the vehicle as needed. 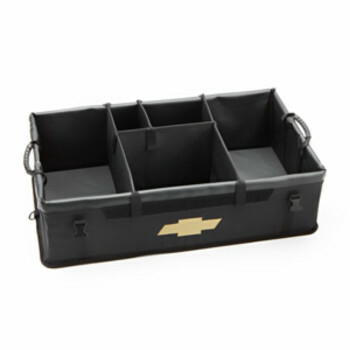 Available in Black with the Chevrolet Bowtie logo..